Flying Saucers From Beyond the Earth is Gordon Lores fifteen-year UFO odyssey through the 1960s and 1970s, the most formative research and investigation years of this constantly ongoing phenomenon. 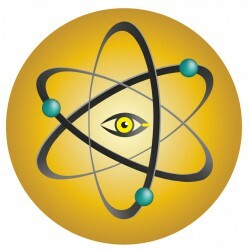 It is highlighted by his work with Major Donald E. Keyhoe, known as Mr. UFO because he wrote the first book and article on the subject in 1950, Richard H. Hall, and James E. McDonald, one of the premiere UFO scientists during the 1960s whose tragic death in 1971 left an enduring gap in the early history of UFO research and investigation. This new book gives the reader both personal and scientific insights into many perplexing flying saucer sightings and the authors investigation and research highlighting their importance. 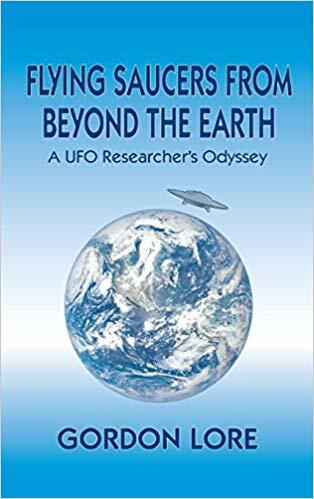 The author has worked with such respected UFO researchers and scientists as Dr. J. Allen Hynek, Dr. Jacques Vallee, Francis Ridge (honcho of the NICAP website), Barry Greenwood, Jan Aldrich, Raymond Fowler, Stanton Friedman, and Paul Cerny. The book also highlights the authors personal investigation of prominent UFO sightings in several states and his leading the NICAP subcommittee work of a number of prominent investigators. He can be seen sitting with Major Donald E. Keyhoe and Richard Hall at a conference table at the National Press Club in 1968 in a segment of NASAs Unexplained FilesSecret Aliens. I was fascinated by Gordon Lores account of UFO history and NICAPs ceaseless struggle to uncover and reveal the truth. Working with highly-charged, up-to-the-minute material, the author invokes military and civilian aviators, police officers, trainmen, abductees, scientists, CIA moles, gold miners, FBI bureaucrats and the everyday people whose sightings are the backbone of the UFO phenomenon. If a book dedicated to evidence-based research can be thrilling, Flying Saucers From Beyond the Earth is it. Gordon Lore provides us with a marvelous look at the Golden Era of flying saucers and UFOs, giving us an uncommon look at the past from the perspective of one who actually lived it as an official of NICAP in Washington, D.C. This inside look at many classic saucer sightings comes from the time when UFOs made national headlines, were the subject of official Air Force investigations, and were targeted for two Congressional hearings in 1966 and 1968. It is pure nostalgia for those curious about the controversy over life in space. Gordon Lore has given us a careful, comprehensive and honest reportage of the UFO phenomenon based on his many years of investigating the phenomenon. He is neither an alarmist nor a radical in his conclusions. The reader will find this an essential counterweight to distortions that sometimes muddy this ever-timely subject.